emopunker don't say it so, normally the B&M "bargain" blend is the left overs of all their bulk blends put together, don't get turned off of the pipe if that one doesn't sit well with ya. Brebbia Allegro Mix n°24, a virginia and burley mixture mango and vanilla flavored. Very balanced, mild, but at the first puffs it tickles the palate a little bit. While still in the tin, it had a wonderful and rich "tropical" aroma... yum! Smoked in a Parker Super Briar Bark. Tried some Dunhill Nightcap. Wow.... That was some strong stuff (nicotine wise). Had my head spinning and a little stomach twing. Maybe smoked it too fast? wasn't on an empty stomach. Some sugar and some water managed to set things right. My, my, my... you ARE getting old, aren't you? Yeah but....I am pretty sensitive to nicotine overdose and never found Nightcap particularly daunting. Try again, another time of day? and builds to a smooth peppery perique n burley profile. 30min bowl time 0 bite and a solid 9 for me. I liked this I can see why people rave about it. Great flavor no bite didn't burn too hot. And the coins are cool. Just fold a coin a couple times to a quarter circle, stuff it in the bowl and go. Some Hobbits Weed in one of my favorite cobs. tonight is some 20 year old Mac Baren #1 breaking in my new Santia cob. Some Dunhill Flake in my cob this afternoon. It's that time of year again! Haddos Delight! ...I thought you had meticulously stowed your pipes sailor! They were Mark. But this New England weather has been so nice I had to break them out before Labor Day. We went exploring all through Groton, Mystic, and Ledyard and all the whaling history has me craving a nice stout English blend! 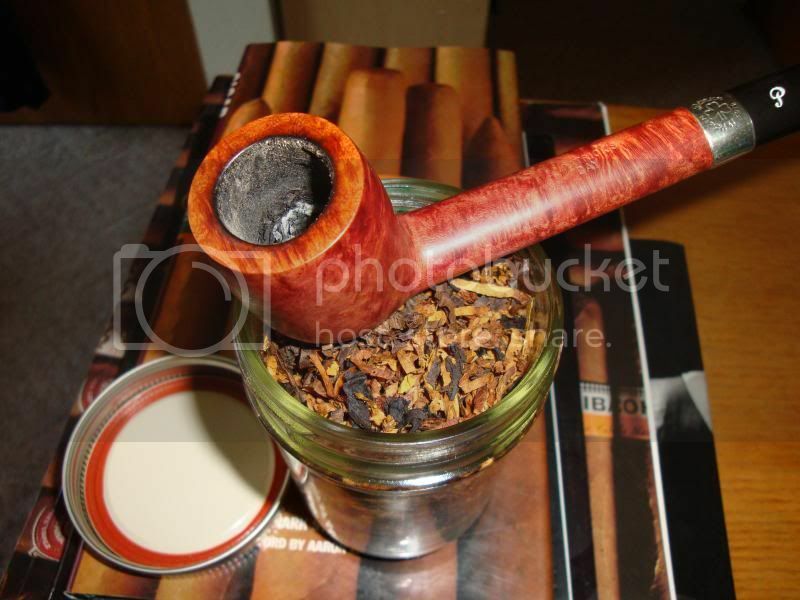 Ennerdale Flake in a Cob, wonderful! 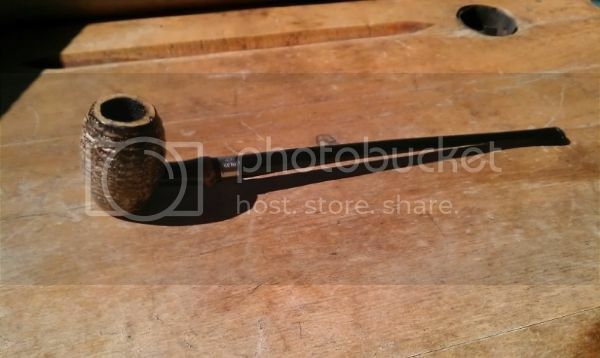 i am new to the pipe..but i did have a bowl of Peter Stokkebye Luxury Bulls Eye Flake (courtesy of 363. thanks bro ) in my cob.... i thought it was great.